Love crosswords? We are starting a monthly competition. On the 3rd Monday of every month print off the crossword from our website www.wildfigfood.com/press and unlock the clues behind the red numbers on the puzzle – the words all relate to find a well-known food or drink item. Don’t want to miss a puzzle? Have the puzzle emailed monthly by signing up to our mailing list. 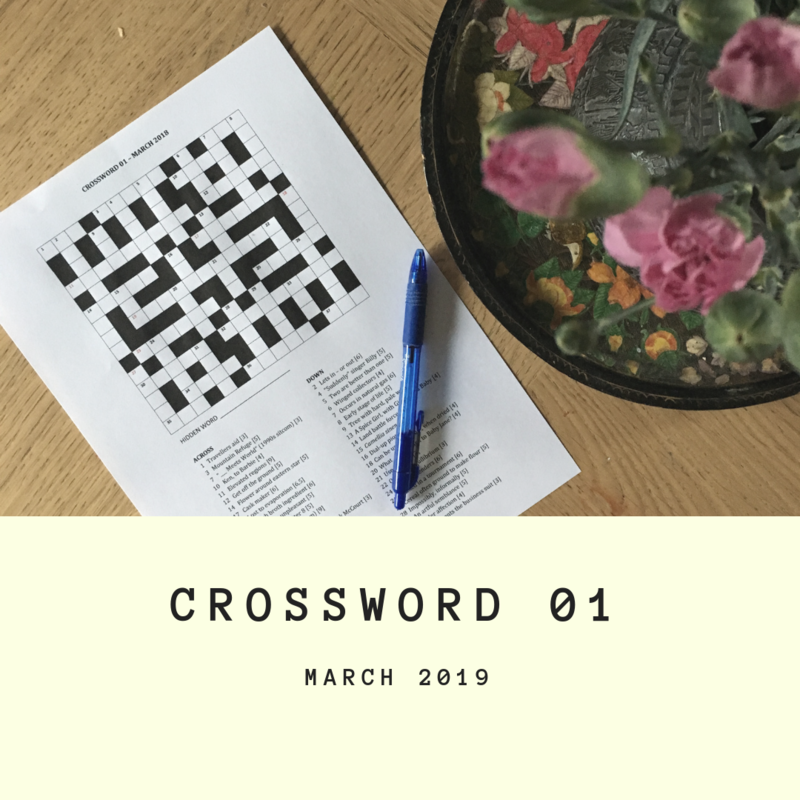 Email us with the word CROSSWORD in the title and your name in the body of the text. WINNER AND ANSWERS IN NEXT MONTHS PUZZLE – (15th April 2019).